At Carr Homes, we pride ourselves on giving our clients beautiful and impressive homes. Virginia has an immense history, a story of migration and settlement, civil war, and years of heritage and cultures. The homes in this area strive to preserve that history. The oldest houses in the area, some older than 200 years, are monumental brick homes. As luxury home builders, we want to keep that historic feel in the homes that we build. Brick homes are known to be strong, durable, and easy to maintain, but what does it take to preserve brick in all of its glory? 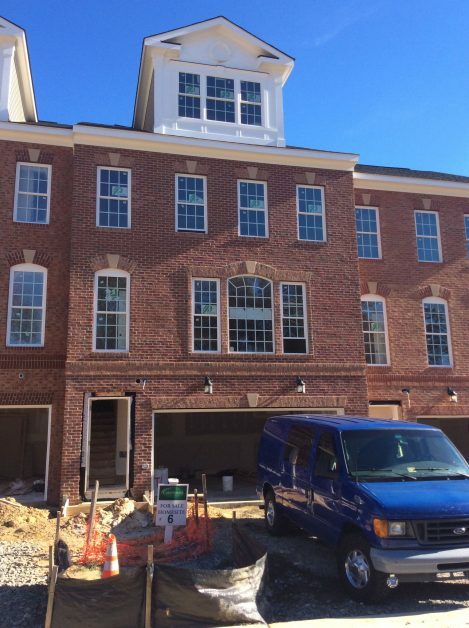 If you’re looking for new homes for sale with dramatic brick, contact Carr Homes, and keep these maintenance tips for brick homes in mind. Two conditions cause water damage in brick homes: splash back and rising damp. Splash back occurs when rain is constantly hitting the brick and soaks into the mortar causing the joints or bricks themselves to crack. Rising damp occurs when the groundwater seeps up from the ground and leaves behind a tide line. The water above the tide line evaporates, but below the line salt crystals remain and over time, cause the bricks and mortar to break down. 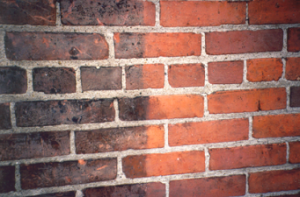 The cycle of freezing and thawing can also expedite damage to brick soaked with water. Keeping an eye out for damage; repairing problems early will prevent more costly repairs in the long run. 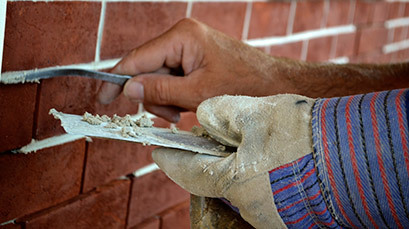 Repointing is the process of filling in or repairing the joints. This is necessary when the mortar has become cracked or damaged, or the joints have become soft. Being careful not to disturb the surrounding brick, the mortar is gently removed, and fresh mortar is applied in layers. When repairing older homes, the fresh mortar needs to match the original; a contractor can be sure that this is done correctly. As with any type of home, the siding becomes dirty and needs to be cleaned regularly. Most homes can be power washed to quickly and efficiently remove dirt from the surface, but power washing brick can damage the mortar, the brick itself, or discolor the brick. Use a spray nozzle to gently remove dirt, but keep an eye on the pressure of the water. For areas where mold or mildew has grown, first soak the surface, and then mix a solution of bleach and water. Use a natural or synthetic scrub brush to scrape away the mold; don’t use wire brushes, as they will leave behind traces of steel and possibly rust and discolor the brick. Maintaining a brick home will ensure that its history is preserved. A luxury home overgrown with ivy or mold can be unsightly. At Carr Homes, we are home builders who want to offer our clients the best luxury homes that they can be proud of owning. Many of our new homes for sale are luxury homes with brick, and give you a sturdy home that is rich with history. Contact our home builders today so you can write your own history in a luxury home.